The coffee bean journey has been a mystery to so many coffee drinkers over the years. Some people believe that coffee comes straight from the bag to the cup, but it’s so much more than that. Have you ever thought about the coffee bean journey as you are drinking your delicious morning cup of coffee? Have you thought about all it has gone through before it gets poured into your cup? It’s a long process that involves not only you the purchaser, but it also involves many farmers, pickers, producers, cuppers and shippers to get your coffee to where it is now. Let’s take a moment to look at this complicated process and embrace the journey of the coffee bean — from the moment it has been grown and harvested — to the moment you pour your very first cup. The beginning process starts when a teeny tiny seed is planted in a nursery in a country where the sun shines brightly and can give the seed all its nutrients. For you, the coffee consumer, coffee does not come off the plant in the medium brown roasted colour you are used to seeing. Coffee beans are green in the beginning. 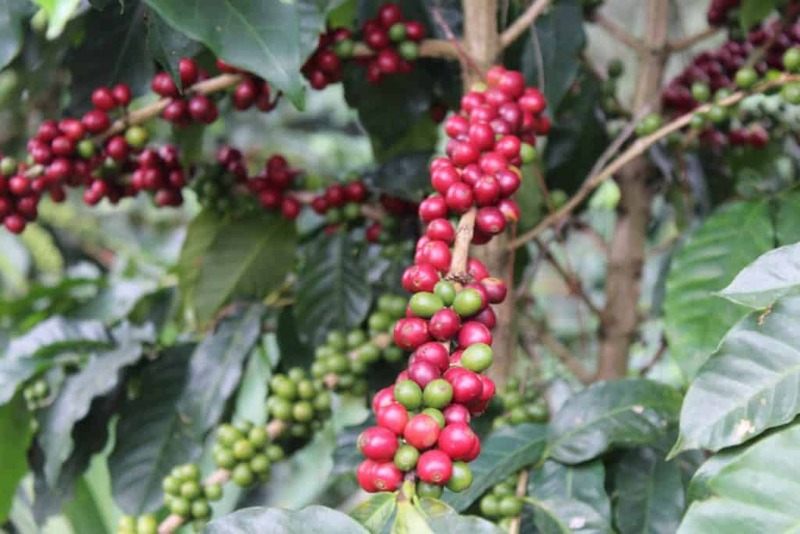 The small coffee plants will be held in a nursery before being sent to a coffee plantation such as Brazil, Colombia, The Honduras, Nicaragua and more. If you would like to find out more about where coffee grows, then check our posts here about each coffee that we provide in our Blue Coffee Box Subscription. It takes about 3-4 years for a coffee plant to mature to where the beans can be harvested. They start off as red cherries (you may hear us refer to them as varietals). 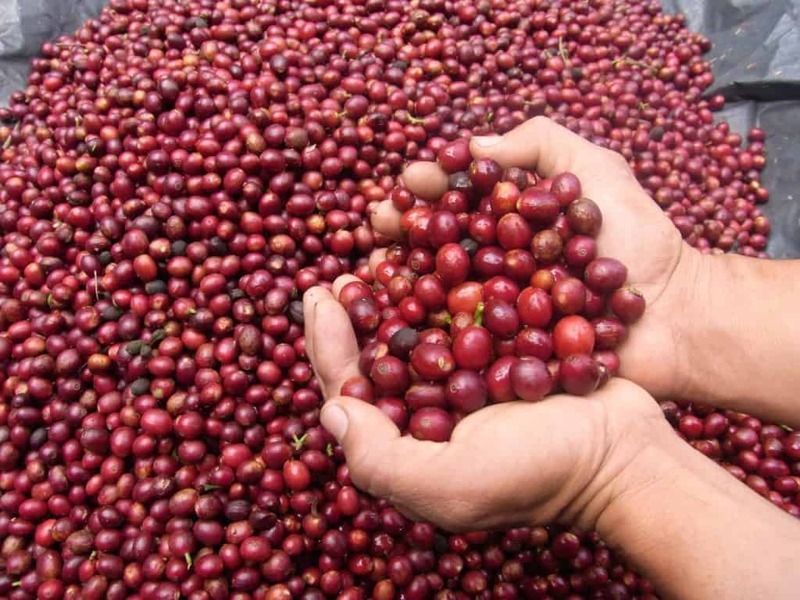 Once the red coffee cherries are fully developed and grown, then they will be picked. Sometimes it is done by a machine, but most often are done by plantation workers native to that region. The reason that people are used instead of machines is that most often, coffee is grown in large mountainous areas making it extremely difficult to get machines in the area. Coffee harvesting time is very important for many small farmers. Working with roasters is how many of them make their hard earned money, so harvesting the coffee perfectly is their main focus. Inside the red cherries is where the green coffee bean is and must be removed from the red cherry flesh. There are a few ways to do this. The old-fashioned method and the one you have seen us talk about here is by spreading the cherries in the sun and continuously mixing them to avoid spoilage. Then after several days once all the husks have dried and the bean is partially exposed, the beans must then be dried and milled to remove the last bits of the cherry from the green beans. As you can see, we are only halfway through the process. We still have quite a ways to go before the coffee is ready to be brewed at home by you! The beans at this point are still non-roasted. 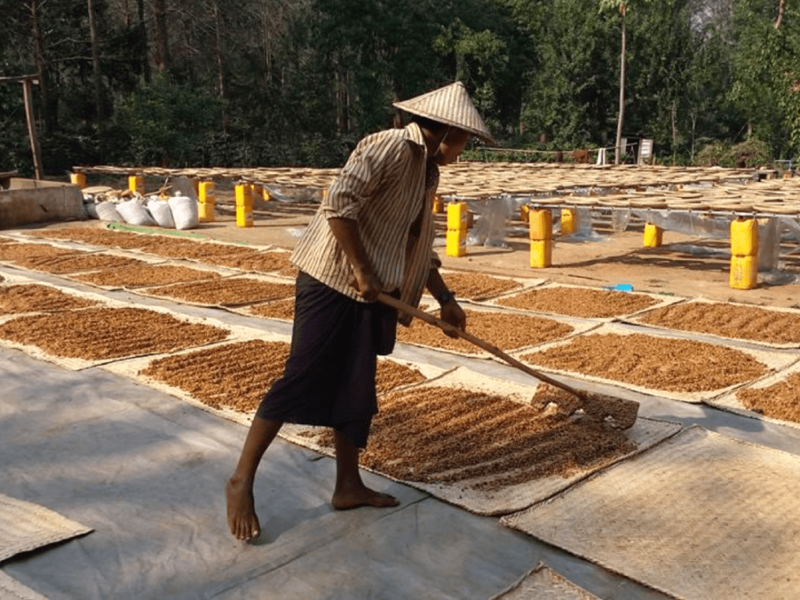 They have been completely husked, dried and sorted into different varietals based on their quality and are now ready to be exported. You can find out more about the varietals and the grading process by clicking here. The green beans are consistently being tested to ensure the process is on the mark, in terms of company standards and bean quality. 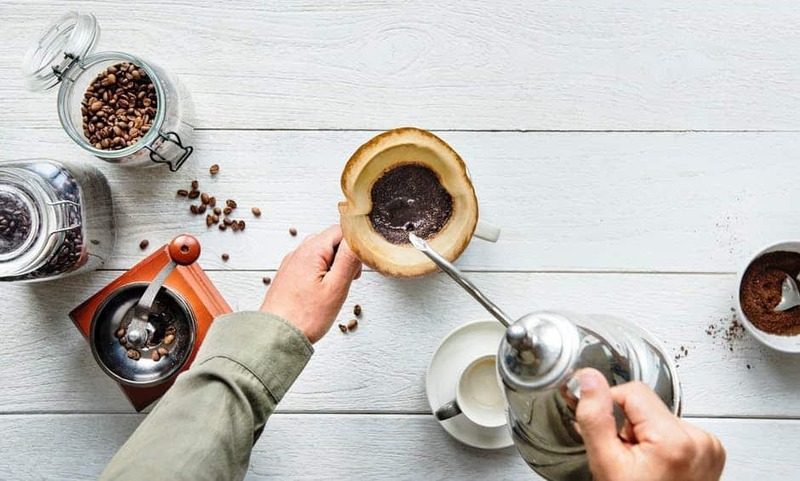 Once the coffee is shipped and exported, a small amount of the green coffee beans will be roasted in a mini roaster and prepared by a highly qualified “cupper”. A cupper is someone whose job it is to test out the aromatic and flavour quality of the bean. In order to balance out the correct flavour profile of the bean being roasted, it is essential to make sure that the balance is correct, especially when choosing beans fore specialist blends. This is the step when actual buyers often get involved in the coffee bean process. Each coffee roaster will have their own standards as to what types of bean they want, and also the degree of quality. 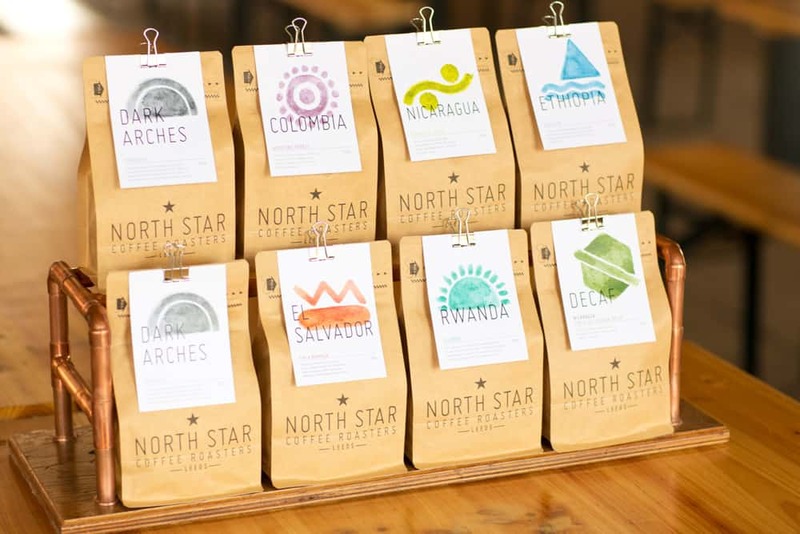 Be sure to check out some of our past roasters here. 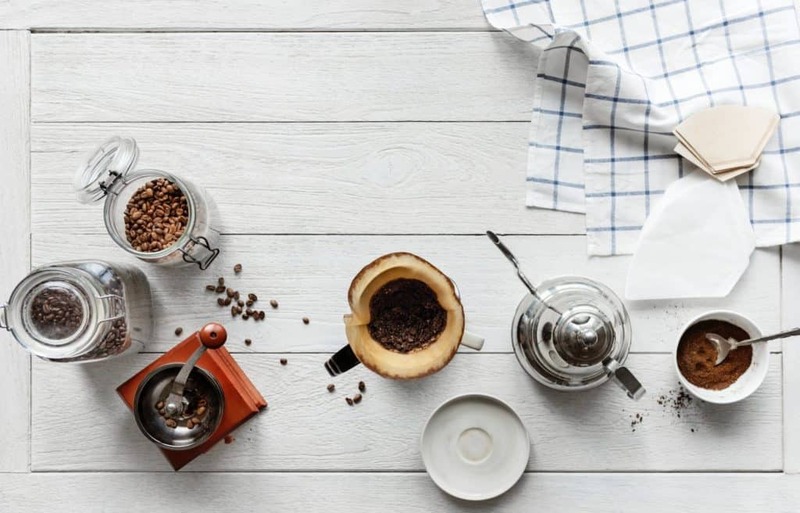 Many of the coffee roasting companies (both big and small) will buy beans based on exact qualities and other specifications to create their own house blends. Roasting is done at 550° F and the beans are constantly moving to avoid burning the delicate beans. You can find out more about the roasting process y clicking here. 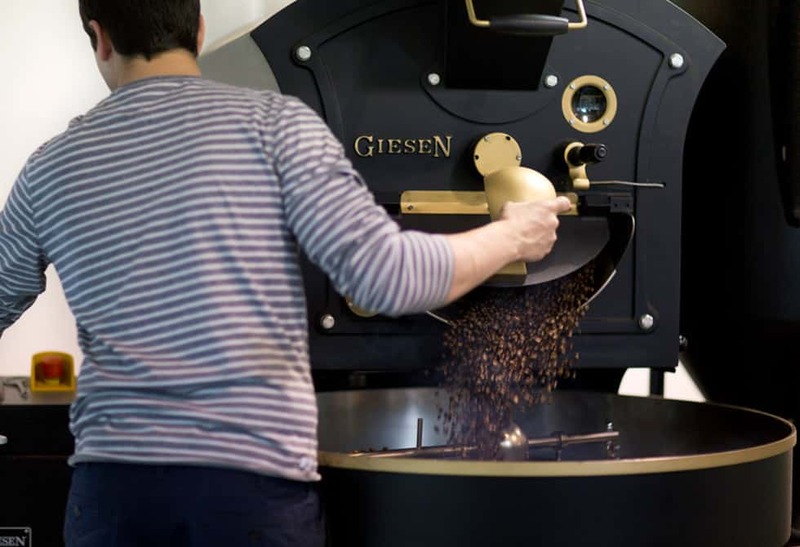 The majority of coffee beans are roasted in large factories, but if you want an excellent experience with roasted coffee beans, find a small business roaster near you and buy your coffee this way. The flavour profile is intense and always so much better than buying from places that roast in large quantities. Packing the beans is extremely important to maintain the full freshness of the newly roasted coffee beans. There are two main ways that coffee beans are packed. They will either be ground according to the brewing process they were meant for or left as whole beans to be ground by the consumer. They use speciality bags that lock in the freshness of the coffee once it is roasted. Then the bag is stamped with the roasting date to ensure you get the perfect cup of coffee every single time. Most people are afraid of grinding their own beans at home, so they will purchase the already ground version. Those who are really into their coffee will prefer to buy the roasted beans and then grind them fresh just before using them. 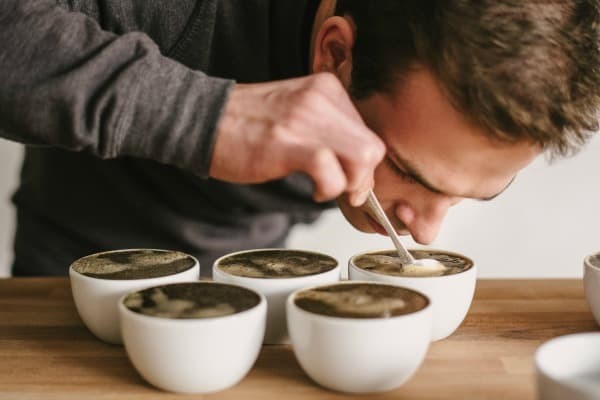 You would be surprised at the difference in the flavour of a cup of coffee when you choose to use whole beans and grind them yourself instead of buying ground coffee. Finally — Time to Brew Your Coffee! The beans have arrived at your local roaster and now you get to select your favorite blend and bring it home to brew. Be sure to select the right grind of coffee for the temperatures and coffee brewing process that you do at home. Not sure which one you have? Check out this article to find out which is best. So as you can see the journey of the coffee bean is certainly a very long and interesting journey. Before your next cup of coffee that you are brewing, remember where your little coffee bean started. Much respect to the glourious coffee bean.